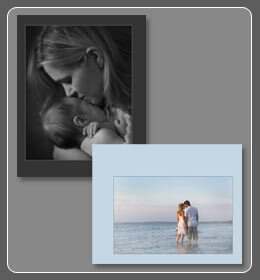 All photographic prints are produced on state-of-the-art digital printers on professional grade photographic paper. Digital Ready print sizes and services are all available in ROES. This is a direct to print service and assumes images provided are colour managed to our output environment. Custom Colour Imaging & Publishing candid & custom services are of course a major part of our workflow as well. Images submitted for this service include adjustment by skilled technicians for density and colour at a nominal fee. Standard surface for all photographic print output is on Lustre paper up to 50" wide. Metallic prints are offered as well up to 30" wide. Other surface types can be accomodated upon request. Additional charges may apply.